Our team firmly believes that 2016 is a make or break year for this species. I don’t know about you, but we sure want it to be a “make” year. If all goes as well or better than it did this year, the Vaquita could very well be on its way to recovery. It has been too many years in a row that we have been wishing for things to get better. Things are finally starting to turn around, but it is still up to us wildlife warriors to make sure things stay on track. We need to sign petitions, make donations, create social media campaigns, and take the world by storm with International Save the Vaquita Day 2016. Let’s keep the pressure on, and never give up the fight. The best news of the year is probably the fact that almost no gillnets have been found in the Vaquita’s refuge since enforcement of the 2-year ban began. Because of this, at the very recent 21st biennial Conference on the Biology of Marine Mammals in San Francisco (MarMam15), the Mexican government and its Vaquita recovery team was awarded with the first-ever International Conservation Merit Prize. Senator Rafael Pacchiano Alamán received a standing ovation from a huge room of marine mammal scientists and enthusiasts after his optimistic acceptance speech. Mexico must really feel motivated to continue with this tremendous progress, especially now that all eyes are on them. The new issue of the Journal of Marine Animals and Their Ecology just came out, and this one is exclusively about the Vaquita! This is a great issue, with many worthy reads. William Whittenbury and I wrote an article in this issue about why everyone should care about the Vaquita’s survival. Check it out! I will sign off for the year (unless there is a huge announcement or breaking news in the next week) with a throwback to 2011. Exactly 4 years ago, I wrote this poem as a tribute to the classic work “A Visit from St. Nicholas” by Clement Clark Moore. It was one of my first poems on this blog, so don’t be too critical. See you in 2016 for The Year of the Vaquita, and have a wonderful V-mas! In hopes that St. Blue Whale would soon be there. But they couldn’t sleep because they were nervous. And lay on their seabeds, softer than silk. That sounded like Narwhals in heated clash. Papa V swam to the top like a jet. And guess who was there? Guess whom he met? St. Blue Whale, floating with a smirk. Warm eyes and a smile, he couldn’t be a jerk. And a sack full of treats like seaweed canes. And St. Whale and his pod swam off in the surf. “SOME TIME AGO, in a time of great poverty, the people of El Golfo de Santa Clara, Mexico were in desperate need of money. Every day, the children would go out onto the dirt roads and search for coins, and the mothers would take off time from maintaining their homes to open fruit and vegetable stands in the village. But even with all of this, they still did not have enough money. So the men had to go out on their little fishing boats with their nets to catch fish or shrimp. Slowly, the village became more and more wealthy. They were catching so many shrimp that they couldn’t even sell all of them! The entire village ate seafood every day, and times had never been better. The town started building bigger houses, and everyone sang and danced at night. Occasionally, however, they would catch something in their nets called a Vaquita, a magical porpoise. It was so rare that most villagers did not even believe it existed. Seeing one was considered to be a good omen, but catching one was not. If you killed a Vaquita, you would be cursed with bad luck for a week. The fishermen could not let this risk keep them from fishing, however. 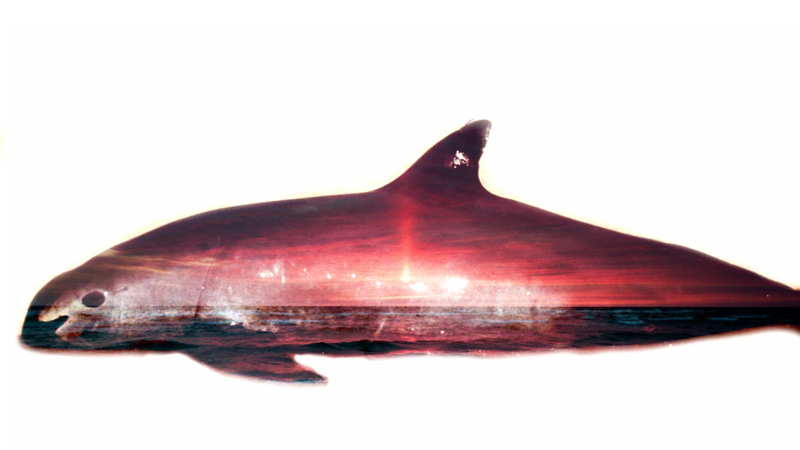 One day, a man caught a Vaquita. Afraid of getting bad luck, he threw the dead porpoise back into the water. Later that day, he was walking down the street and tripped over a rock. He broke both his wrists, rendering him useless as a fisherman for a long time. He was devastated, but in the back of his mind he knew that it was from catching that poor Vaquita. A different man also caught a Vaquita, but he kept it onboard to bring it home to sell for meat. He was afraid that he would be cursed, but a few days went by without anything happening. Then one morning, when he went outside, he was shocked to see that all the houses were tiny again, all the tourists and buyers were gone, and the children were back in the streets picking up coins. The women were once more solemnly selling fruit and vegetables on the street corners. He saw a man who had broken wrists. “I caught a Vaquita too, and now the entire village is poor again,” the man said. He knew that it was his fault. But then the men got an idea. They went out in a boat to look for a Vaquita. After a while, they saw one of the beautiful creatures. It had its baby with it, which reminded the men of their families. They realized that the Vaquita deserved to live just as much as they did. With this realization, they returned to their village to share the news of the magical encounter. When they arrived, they were shocked by what they saw. Everybody was dancing in the streets again. Their houses were bigger than ever. There were tables of rich meats, fruits, vegetables, and grains everywhere, and the entire village was cheering. The two men looked at each other. They knew that their encounter had caused this. first learning about the Vaquita. Determination to keep them on this planet. so I could donate even more. and told them to do the same. I even started a Vaquita club at my school to raise money. but I know what I wanted to happen. Scared we might lose the Vaquita forever. I wasn’t doing very much. But I loved doing it. I was 11 at the time, so I wasn’t the best with websites. so I started a book on it. I kind of stopped for a little while. But then my passion was rekindled by art. I learned that I love to draw, especially Vaquitas. I began illustrating my book. It was from William Whittenbury. My life changed dramatically on that day. Together, we have accomplished so much. and National Save the Vaquita Day. I am learning the ways of a businessman, conservationist, and artist. but hey, they are working. And there has never been a more exciting time in the world of the Vaquita. I want you to go deep into your memory. Back to when you were a kid. Now travel to the worst memory of your life. Maybe the day you broke your leg and ruined your summer. Think about all the tears and the pain. How their loss changed your life. How dearly you missed them. How you wish you go back in time and be with them. How you hoped it wasn’t real. The Vaquita is a family member. You may not even know. You could find out years later. How guilty would you feel? But someone else was punished. Losing the Vaquita is worse than losing a loved one. Because we completely control the fate of the Vaquita. We are holding the entire species in our hands. We can manipulate its success. 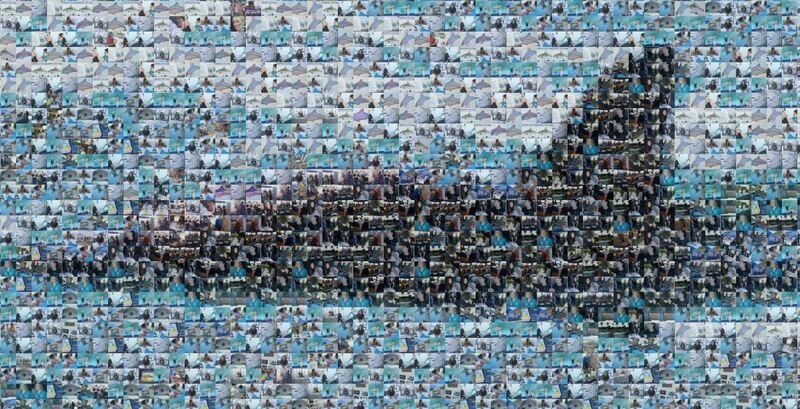 We can save the Vaquita. The guilt will be overwhelming.